Eel Pie Island is the largest island in the London section of the Thames and until 1957 it could be reached only by boat. Originally called Paryshe Aite, some historians argue that it was once the site of a monastery and there are rumours that Henry VIII used it as a courting ground. In the 17th century it was used by day trippers and became well known for the eel pies made from locally caught eels. 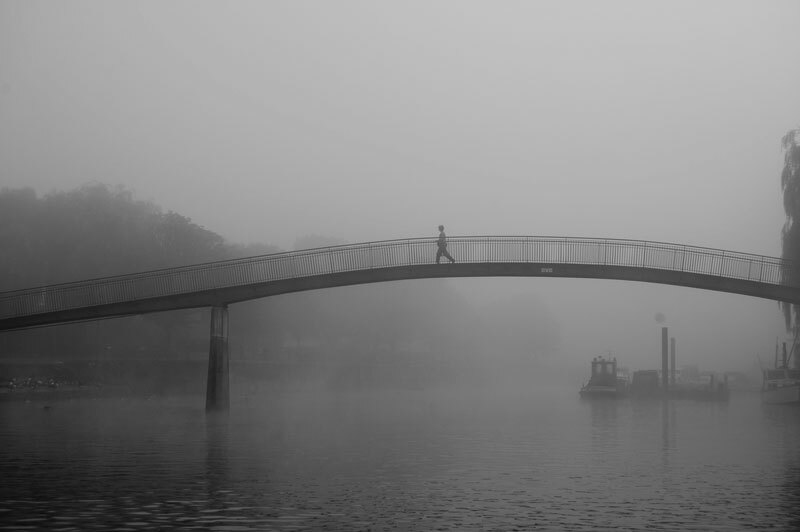 In 1860 Twickenham Rowing club was established and runs to this day, one of the largest and oldest rowing clubs in London. From the early 20th century ramshackle huts and yards were built on the island and many of these structures exist today as do two of the boatyards built to construct and repair working boats on the Thames. The boatyards are also home to workshops for artists and craftspeople and moorings for houseboats. 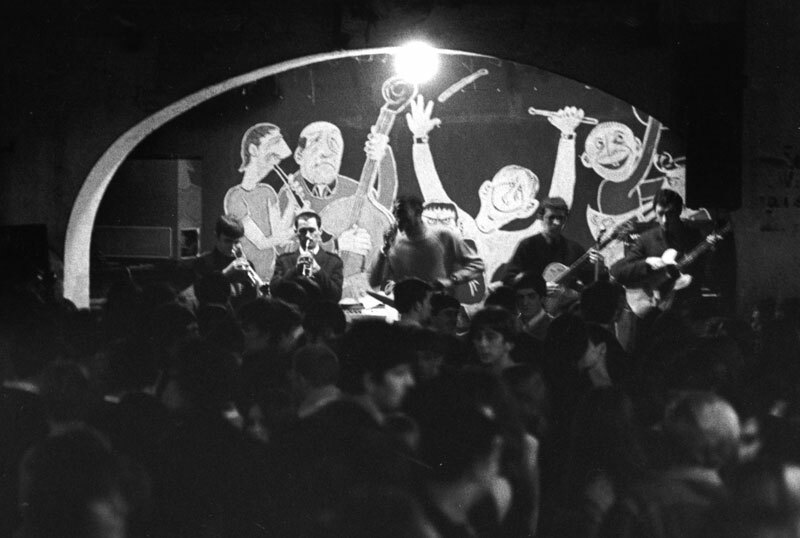 From the 1920s the Eel Pie Island Hotel hosted ballroom dances and from the 1950s and 60s a bohemian crowd began to move to the island and it became a venue for jazz and rock musicians including the Rolling Stones, The Who, Pink Floyd - some say that the island is where the 1960s began in the UK. The Eel Pie Island Hotel that hosted many gigs became a hippy commune after concerts stopped in 1967 and it then burned down in 1971. This little hidden part of London never lost its allure to artists and musicians who continued to move in during the 1970s, many of whom remain to this day and comprise a number of its residents. Today there are 50 houses and 120 residents. This project is run by digital:works who set up a group of local residents from the Richmond area. 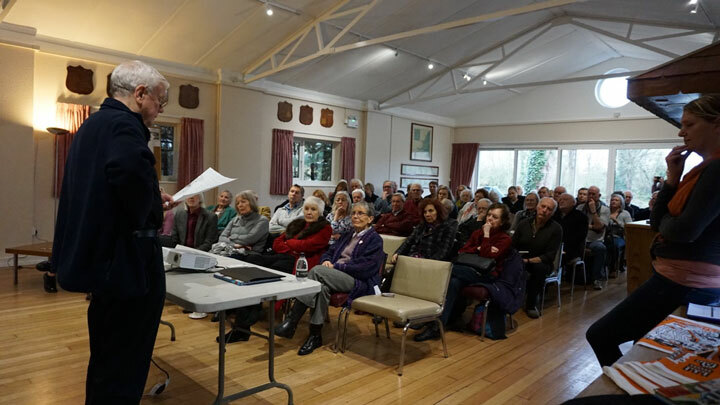 They researched the history of the island at Richmond Local Studies Centre, were treated to talks by two local historians and took part in a guided walking tour of the island. 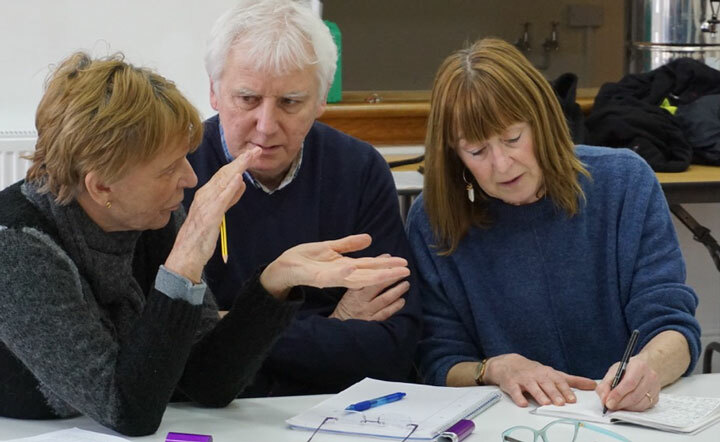 In Spring 2017 they undertook oral history workshops with digital:works before researching and meeting current and former residents to record oral history interviews with them. 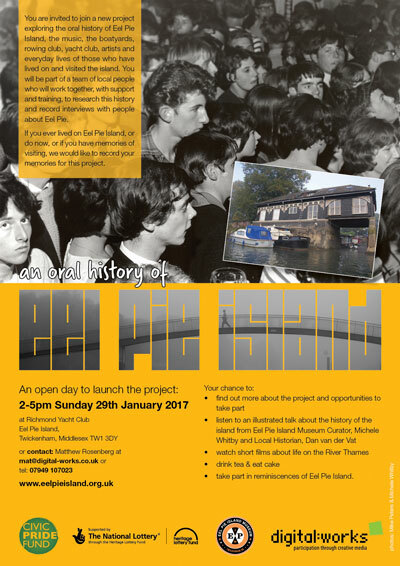 These interviews have been deposited with Richmond Local Studies Centre and the Eel Pie Island Museum and also sit on this project website. The interviews have been edited to make an oral history based documentary about the island that will be free to view online. The film will also be shown at local events, film festivals, community groups, schools and also at two launch events in September 2017. Thanks to the 80 people who came along and shared their memories or signed up to volunteer on the project and making the afternoon so special. 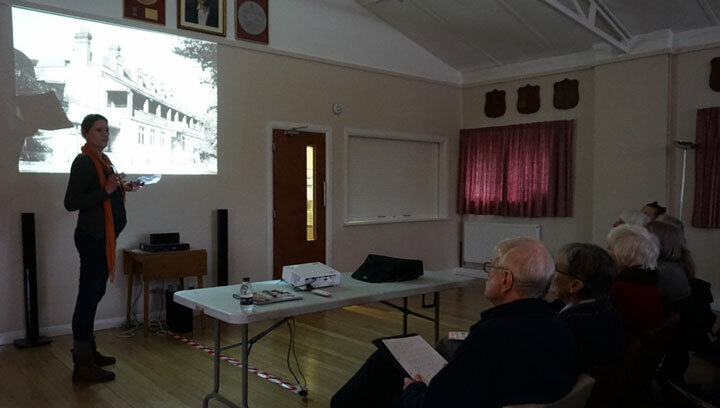 Left: Michele Whitby displays images from the Eel Pie Island Museum Collection to illustrate her talk. Above: Dan van der Vat covers the Island's wider history. 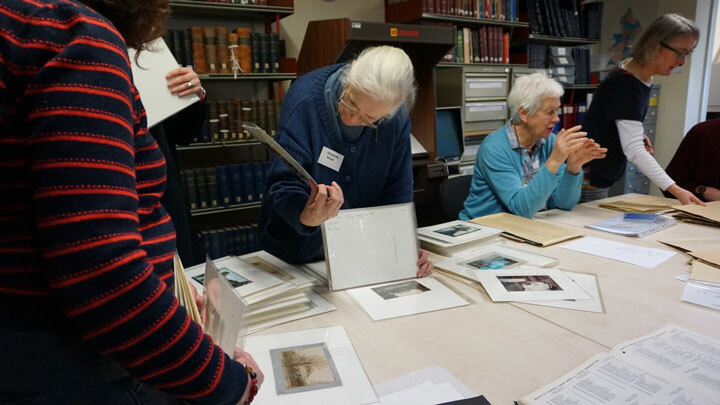 This project is run by digital:works with the support of the Upper Tideway Branch of the Thames Society, the Eel Pie Island Museum, Richmond Local Studies Centre, Richmond Yacht Club and Age UK Richmond. We are grateful to the Heritage Lottery Fund and the London Borough of Richmond's Civic Pride Fund for their financial support. All photos by Michele Whitby except when otherwise stated. 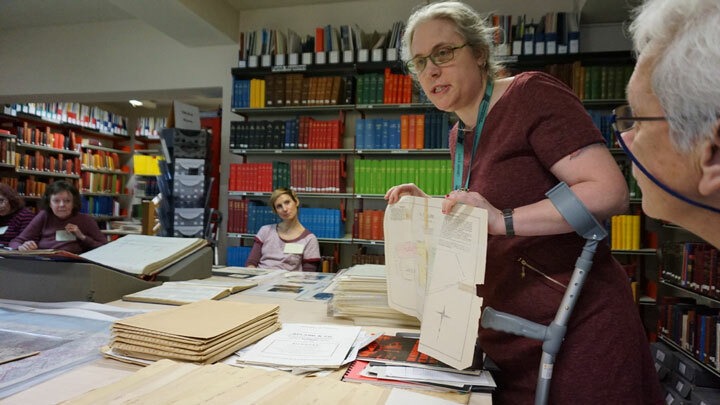 The volunteers were treated to a guided history walk by resident Celia Holman. 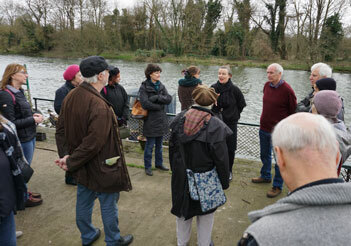 Working with Lara Bond to learn research skills and carry out their own reaserch of Eel Pie Island. 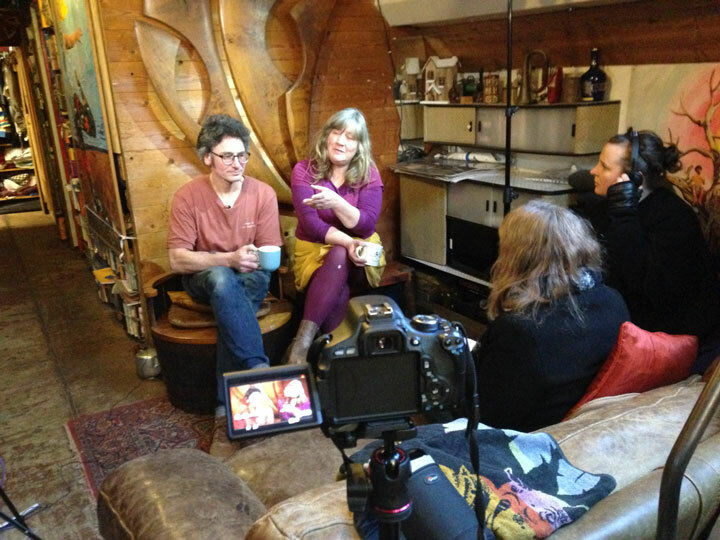 The team interviewing Mark and Helen Montgomery-Smith on their boat. 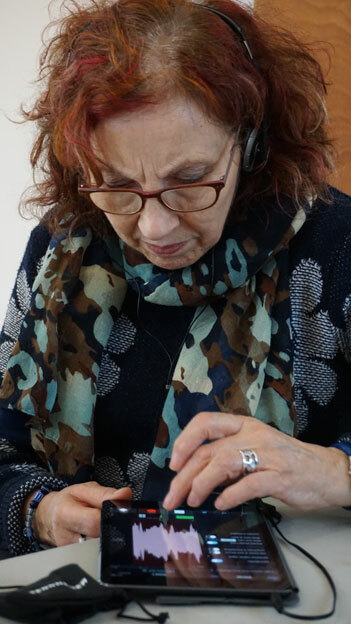 The volunteers took part in a Recording Oral History workshop with digital:works, looking at the pros and cons of collecting oral histories, hands on practice with audio-recorders and learning interview skills. 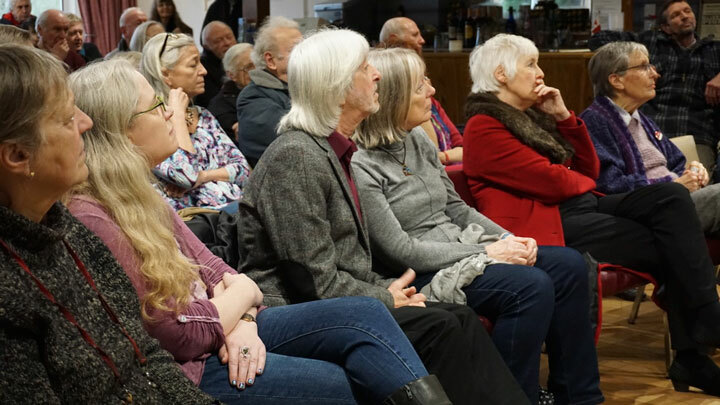 The volunteers developed questions for the oral history interviews to cover residents, boatyards, artists, the Hotel and music scene, Twickenham Rowing Club and the Richmond Yacht Club. 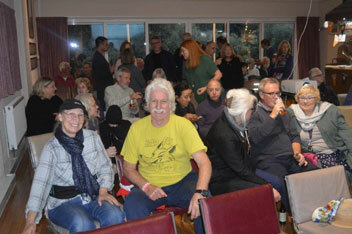 Due to popular demand we had two launch screeenings at Richmond Yacht Club for interviewees, volunteers, funders, friends and islanders. 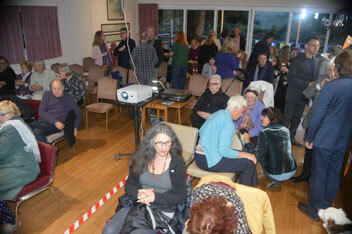 It was a great way for everyone involved to get back together and enjoy the fruits of their labour!